IN JUST 19,729 SQUARE MILES, Costa Rica harbors a wealth of biodiversity, a stunning variety of landscapes and ecosystems(from tropical rainforest to mountains to offshore reefs) and some of the friendliest — and happiest — people on the planet. Uniquely Costa Rican experiences are clearly pretty easy to come by; here are just a few to get you started. Costa Rica’s size and geographic location on the narrow Central American isthmus mean you can surf both the Atlantic and Pacific Oceans in the same day. With the two coasts a six-hour drive apart, it’s possible to catch your first wave of the day on the Caribbean coast and then hop over to the Pacific for a sunset session before dinner. The water is deliciously warm on both sides. Jacó and Hermosa beaches tend to have consistently great surfing conditions and are excellent for learners. Just keep in mind that while the Pacific side has stellar surfing year-round, conditions on the Caribbean side tend to be more seasonal, with big barrel waves like Salsa Brava breaking from January to March. The word “oxcart” may not conjure a very glamorous image, but the Costa Rican carreta isn’t your typical cart; in fact, it’s the country’s most celebrated craft and a UNESCO Masterpiece of the Oral and Intangible Heritage of Humanity. 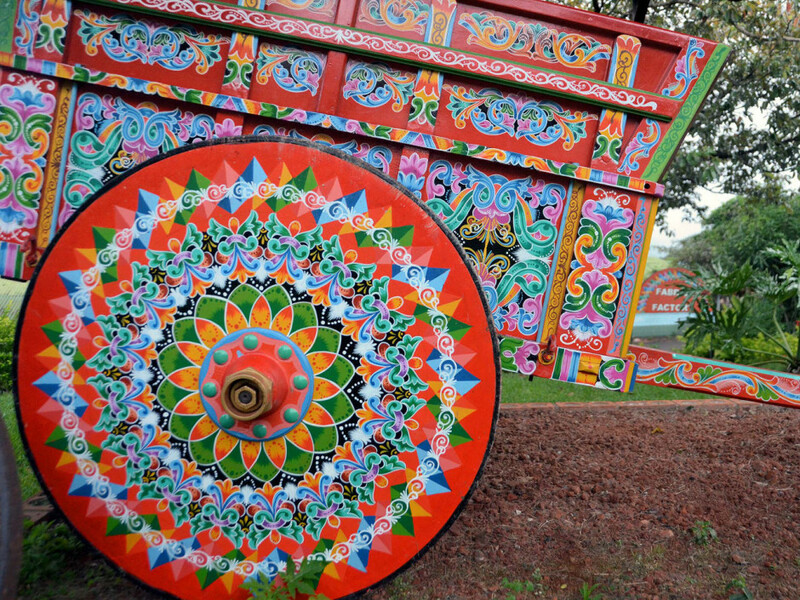 Once a means of transporting coffee beans, Costa Rican oxcarts are now a proud symbol of the country’s cultural heritage and are often painted in colorful and intricate designs, turning them into works of art. You can catch a whole parade of exquisitely painted oxcarts on the second Sunday of March at the spectacular annual Día del Boyero (Oxcart Driver’s Day) festival in San Antonio de Escazú, a western suburb of the capital city, San José. Year-round, check out the world’s largest oxcart in the town of Sarchí, Costa Rica’s most famous crafts center, about 30 miles northwest of the capital. Home to more than half a million species — nearly 4% of the total estimated species in the world — Costa Rica is one of the best places on the planet to explore nature’s flora and fauna. One-quarter of its land area is protected in national parks and reserves, and these places contain an astounding variety of ecosystems, including tropical rainforest, tropical dry forest, cloud forest, mangrove forest, Atlantic and Pacific coastline, and miles and miles of offshore reefs. To see the most plentiful and rarest wildlife, hit up Corcovado, Tortuguero, and Manuel Antonio National Parks. Pack those binoculars and fins; there’s nature to experience in every pocket of this compact country. Part of the Pacific Ring of Fire, Costa Rica contains more than a dozen volcanoes, both active and inactive. 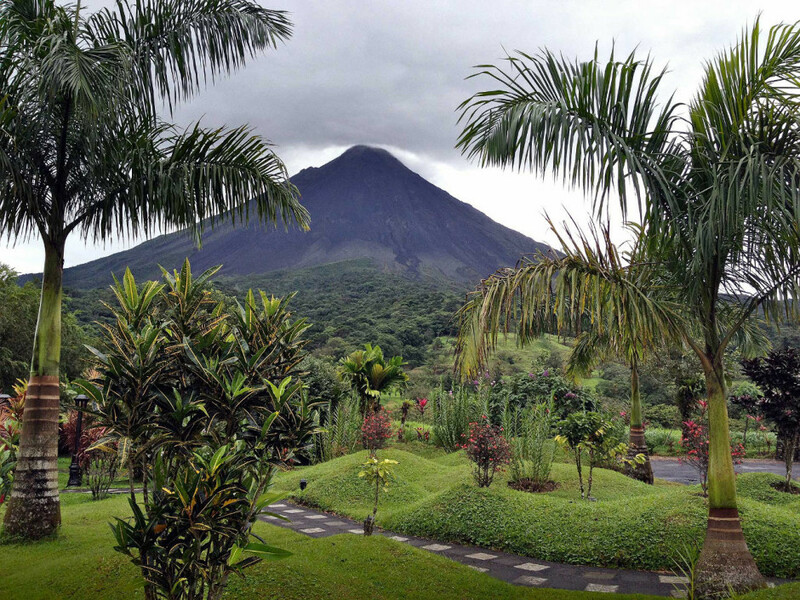 The most famous is Arenal, whose conical beauty and former status as one of the most active volcanoes in the world spawned a thriving tourism industry in its environs and, subsequently, an array of hot springs resorts of varying degrees of luxury. Arenal stopped spewing in 2010 and has since become dormant, but it’s still amazing to look at while soaking in a hot springs pool, tropical cocktail in hand. 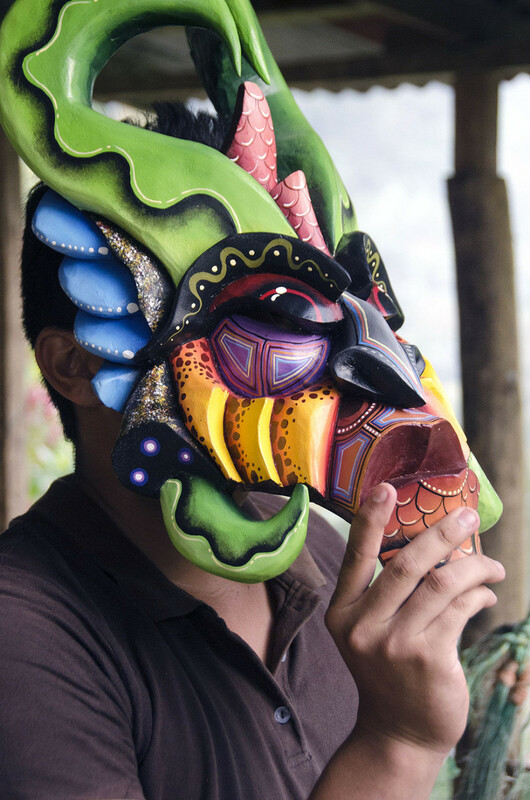 A traditional festival of the Boruca people of southern Costa Rica, the Danza de los Diablitos, also called the Juego de los Diablitos, takes place each year in two different locales: December 31 to January 2 in the community of Boruca, and the first weekend of February in the community of Rey Curré. The festival is a fascinating reenactment of the Spanish conquest of Costa Rica. The Boruca don elaborate costumes and hand-carved devil masks, representing the indigenous people, while dancing around and eventually taking down a mock bull, symbolizing the Spanish. A celebration of Boruca identity and community, the festival involves music, traditional food, and lots of chicha — a fermented beverage made from corn. The stunning and aptly named Ballena National Marine Park (ballena means “whale” in Spanish), on Costa Rica’s southwestern Pacific coast, is a well-known humpback whale hangout and home to a sandbar formation called the Tómbolo (in English referred to as the “Whale’s Tail”). At low tide, from the air, the unique formation looks like a perfect whale’s tail, and sea-gazers can walk out to the sandbar for a potential glimpse of a real humpback’s tail. The park sits between Playa Hermosa and Playa Uvita, so even without whales on-scene your views will be fantastic. Costa Rica prides itself on its pioneering ecotourism and sustainability efforts, and rightly so. The country is home to a wealth of eco-lodges that allow tourists to maintain a low environmental footprint during their visit without sacrificing comfort — or, in some cases, pure luxury. From tent lodges, beach bungalows, and former farms to solar-powered hotels, an impressive selection of eco-lodges exist across Costa Rica, allowing visitors to “stay green” in virtually any part of the country. Costa Rica’s Pacuare River ranks as one of the best whitewater rafting trips in the world. Imagine barreling through Class III and IV rapids surrounded by pristine rainforest, floating through a steep canyon draped with tropical flora, or seeing waterfall after waterfall cascade into the river. Bonus: Whenever you choose to go, the water won’t be freezing. Every year in the days approaching August 2, millions of pilgrims from around Costa Rica, Central America, and the world travel on foot, horseback, or, for the truly devout, on their knees to the colonial capital of Cartago. They walk to attend mass at the Basílica Nuestra Señora de los Ángeles (Our Lady of the Angels Basilica) in honor of the Virgen de los Ángeles (Virgin of the Angels), Costa Rica’s patron saint. There, they pay their respects to, and make requests of, an eight-inch black stone statue of the Virgin, affectionately called La Negrita. Many pilgrims make only the 14-mile trek from the capital city of San José to Cartago, but some walk from the farthest reaches of Costa Rica and even from neighboring countries out of devotion to the saint. That, and legend has it La Negrita can conjure miraculous healings. In rural parts of Costa Rica, it’s not that uncommon to come across a sloth making its way oh-so-slowly across a road. Good Samaritans may even set up human barricades to make sure a crossing sloth isn’t hit by a car. 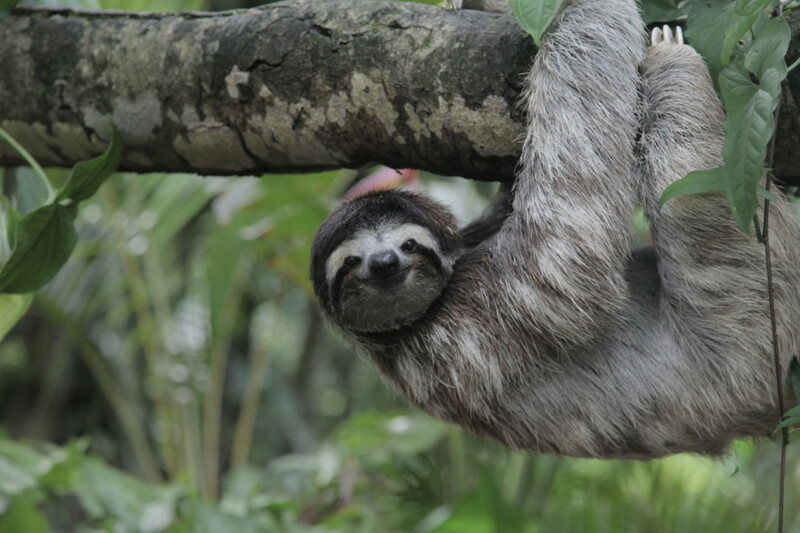 If you don’t have time to wait around a country road for a sloth to cross, you can make your way to the Sloth Sanctuary on the southern Caribbean coast, about 30 minutes south of Limón. (Via Interbus, take the route called Limón/Cahuita/Hone Creek/Puerto Viejo, and stop at Aviarios del Caribe/Sloth Sanctuary. There will be a yellow sloth-crossing sign at the bus stop near the sanctuary gate.) The organization is dedicated to the care and rehabilitation of rescued sloths and, if you’re lucky, you might even get to see baby sloths at the sanctuary — there are few things in this world cuter than baby sloths.